Dean Lewington says MK Dons have some big decisions before they return for pre-season training if they are to bounce back from relegation at the first time of asking. With relegation sealed on Saturday, Dons have one more game to play - away at Shrewsbury next Saturday - before heading away for the summer. 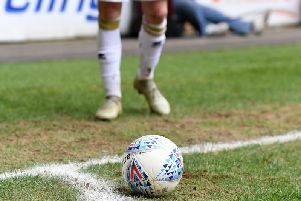 Dons haven't been in League 2 since winning it in 2007/08, but with no manager in place beyond next Saturday and a number of players with questionable futures at Stadium MK, Lewington believes a lot of big decisions need to be made in a short period of time to ensure a new manager, should Keith Millen not keep the job beyond next week, has as much time to turn the ship around. He said: "We don't want to spend too long down there, we want to bounce back as soon as we can. In the immediate aftermath, we need decisions on players out of contract, probably decisions on players who are in contract too, clearing away the debris, what we don't want, what isn't going to stay. So then when someone comes in, they've got a clean slate to go forward with. "That needs to happen as a soon as possible, giving someone as much of a chance to make a change, bring in news faces and start next season in a positive way, rather than still dealing with this one." Lewington is still under contract next season, but admitted he doesn't know what role he will be taking next season, and will accept whatever the new manager decides. "I'll come back in pre-season, be available and it will be down to the new manager to decide where I fit in," he said. "It's not really my decision. I'll be fit and ready to go and I'll let someone else make the decision."